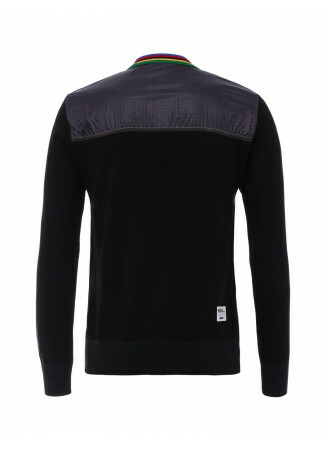 UCI long sleeve wool jersey. 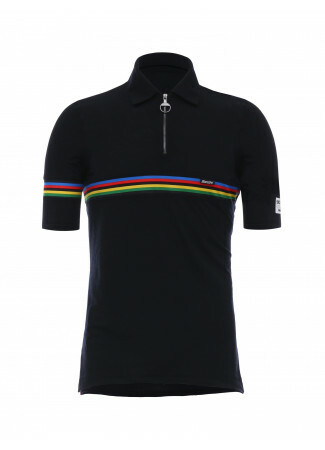 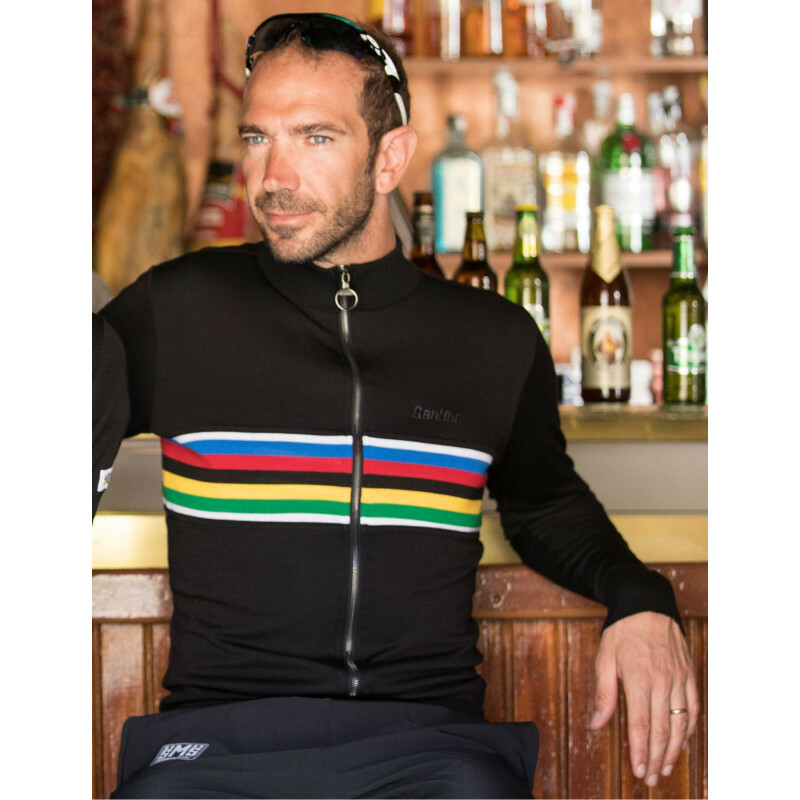 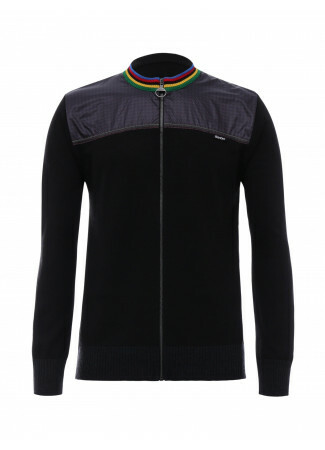 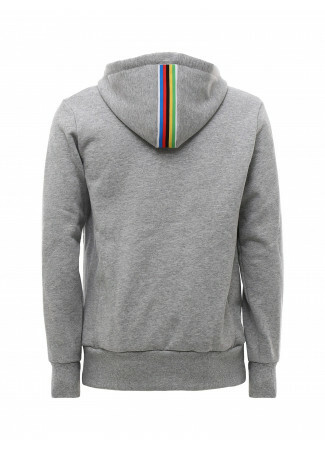 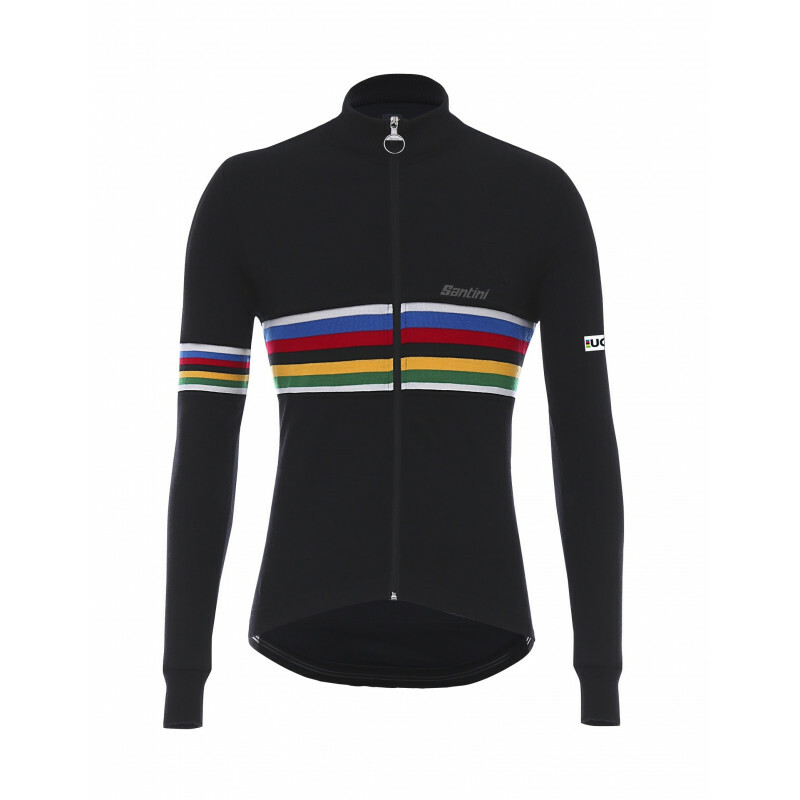 One of the best sellers of our line dedicated to the rainbow colors, the same colors of the greatest cycling champions. 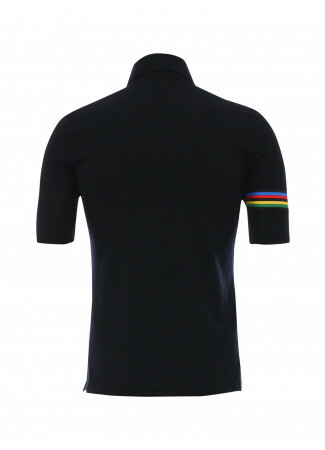 With mesh inserts on the sides and elastics on cuffs and on the bottom of the jersey. 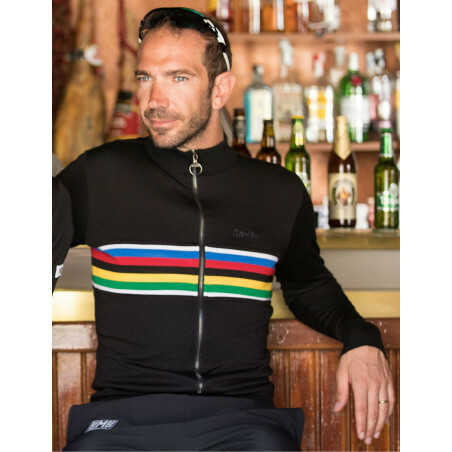 Among the most popular garments of our UCI collection, thanks to its combination of vintage design and modern style fit, this long sleeve jersey in technical wool occupies a privileged position. 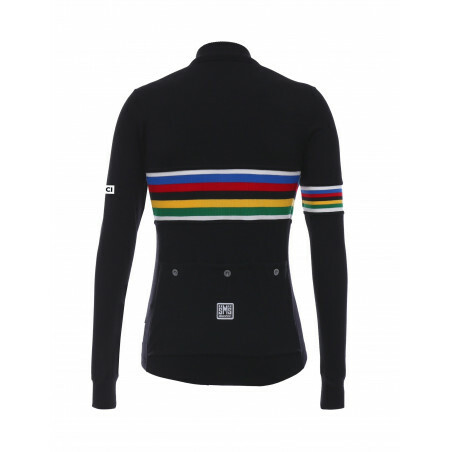 Made of wool yarn, it is characterized by inserts on the chest and on the right arm with the rainbow color, and has details like the mesh inserts on the sides and elasticated cuffs, able to enrich an already sophisticated design. 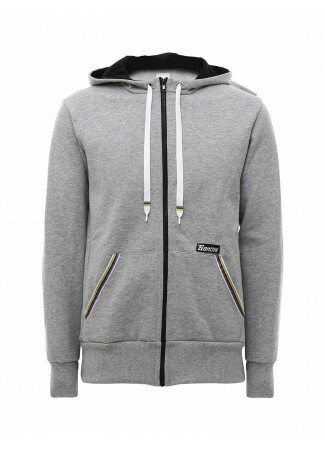 With a long zipper, practical and comfortable.